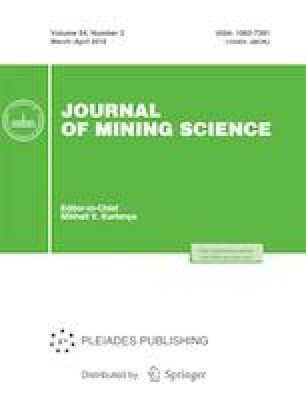 The investigation of influence exerted by ultrasound processing on recovery of zirconium and rare earth elements in pregnant solution of acid leaching of eudialyte concentrate is described. The methods of X-ray photoelectron spectroscopy and analytical scanning electron microscopy are used to study structural, chemical and morphological characteristics as well as elemental composition of minerals in eudialyte concentrate before and after acid leaching. Original Russian Text © V.A. Chanturia, V.G. Minenko, A.L. Samusev, M.V. Ryazantseva, E.L. Chanturia, E.V. Koporulina, published in Fiziko-Tekhnicheskie Problemy Razrabotki Poleznykh Iskopaemykh, 2018, No. 2, pp. 114–120.